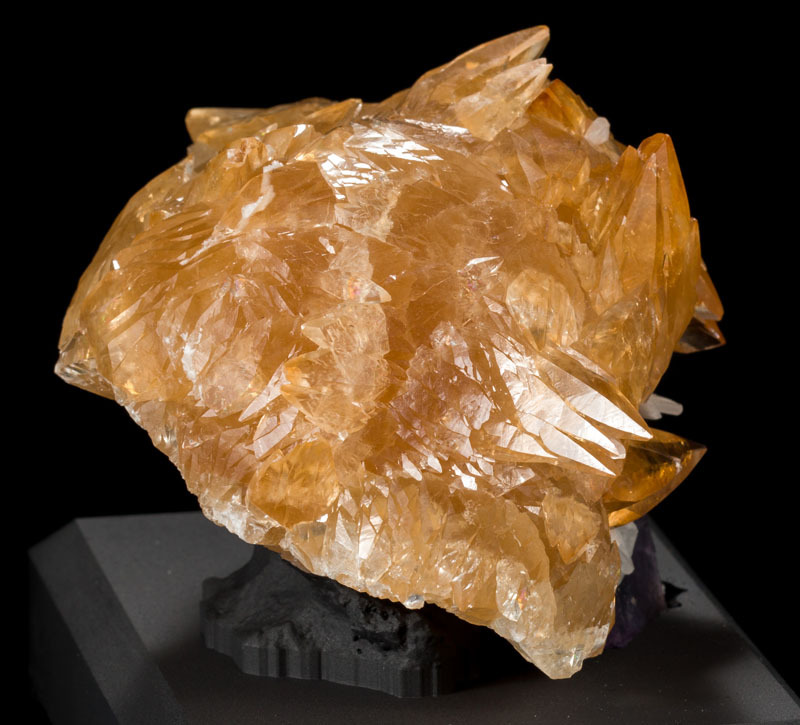 Yes, this specimen does have the unique appearance of being Donald Trump's toupee, but aside from that novelty this is actually a very special specimen from the Minerva Mine. 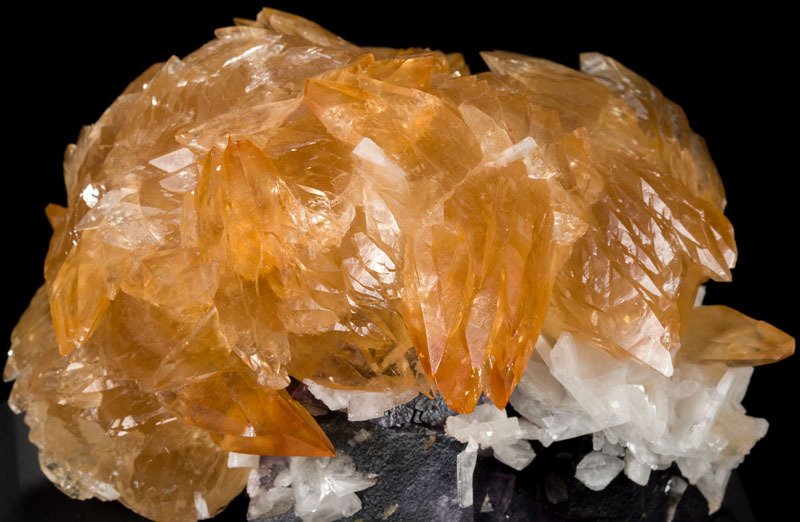 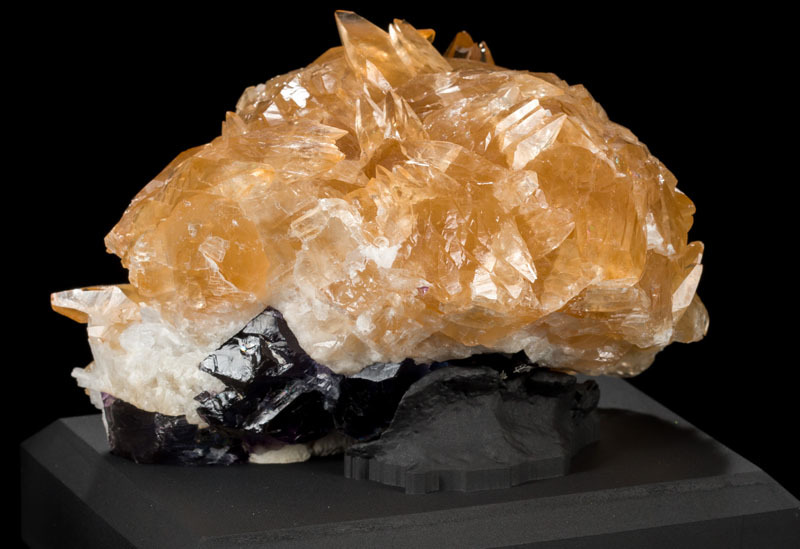 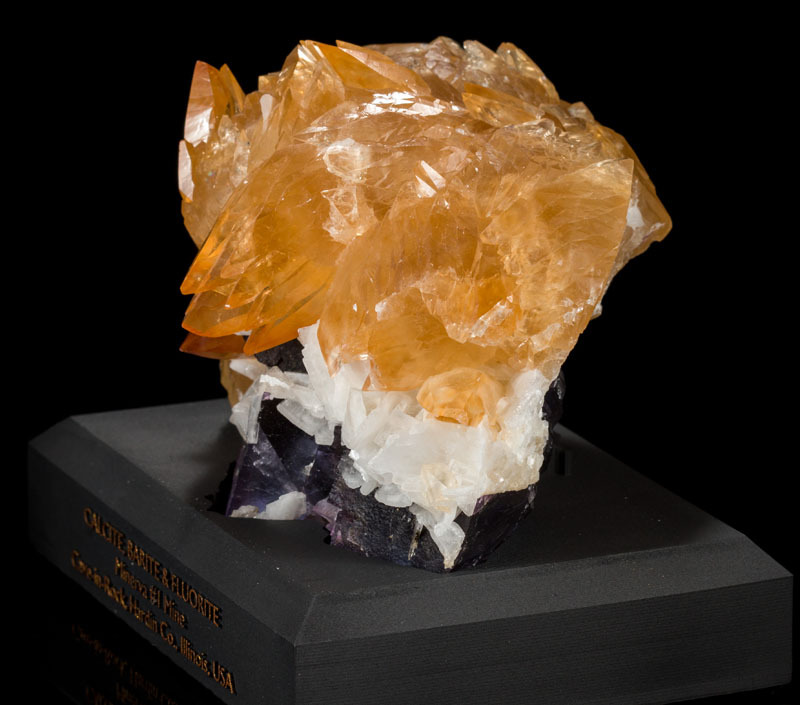 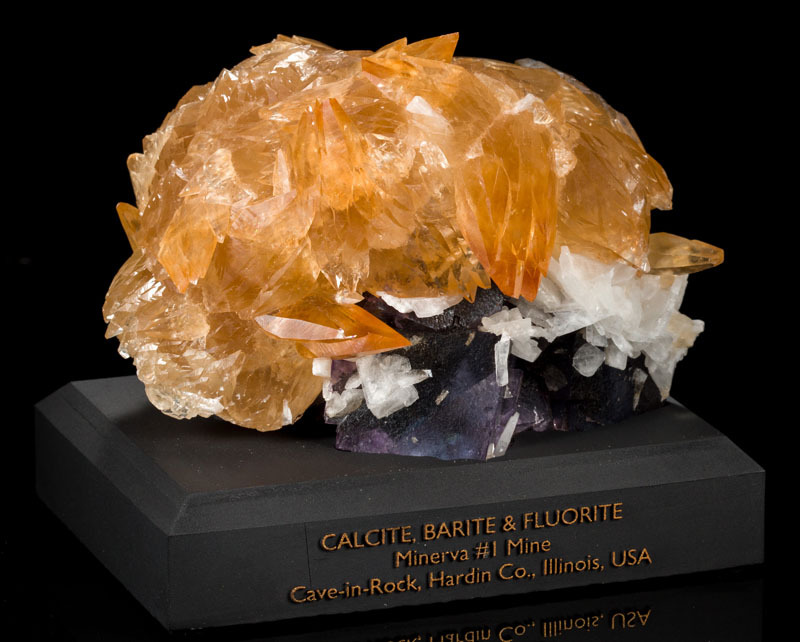 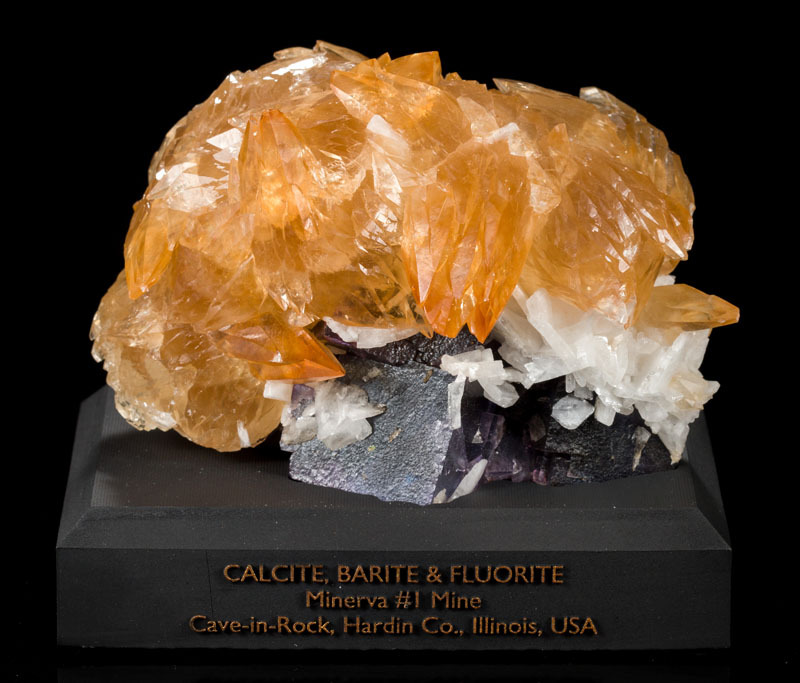 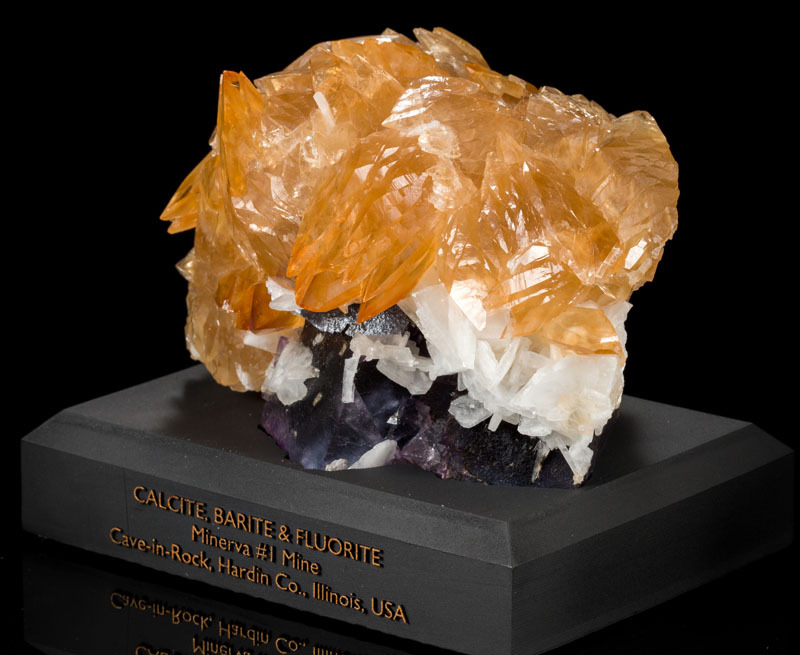 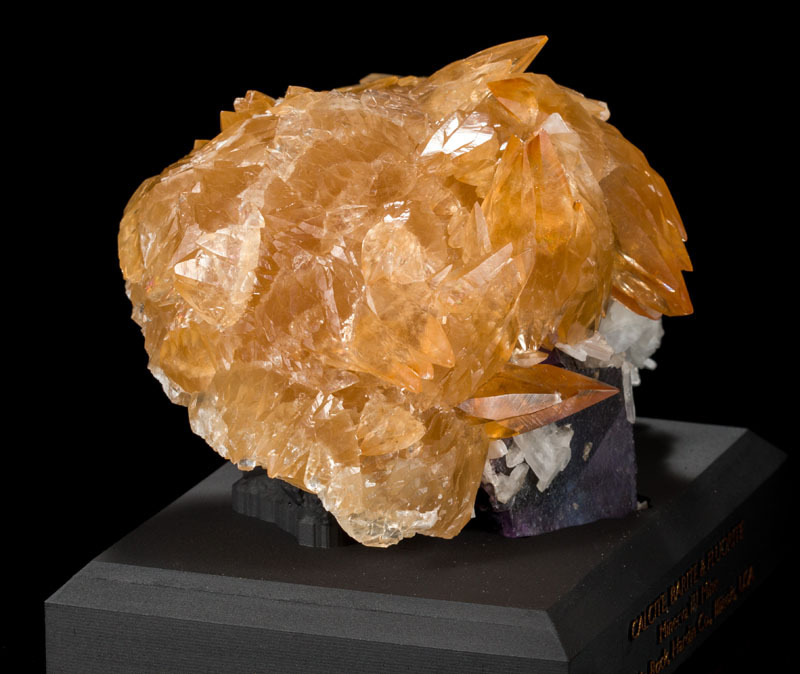 It is an incredible combo of gemmy, deep-orange calcite with white barite on purple fluorite. 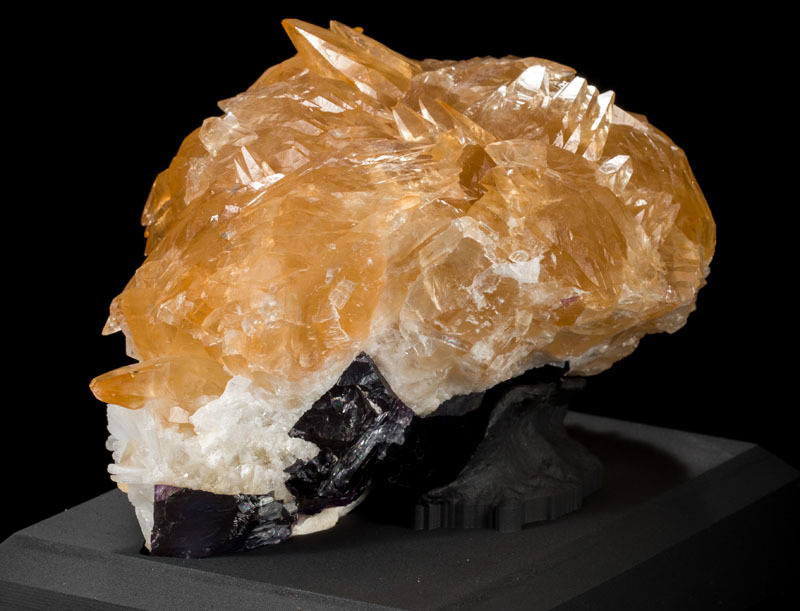 The calcite forms a dome covering the other minerals, and the condition is exquisite because there is no damage to any of the terminations. 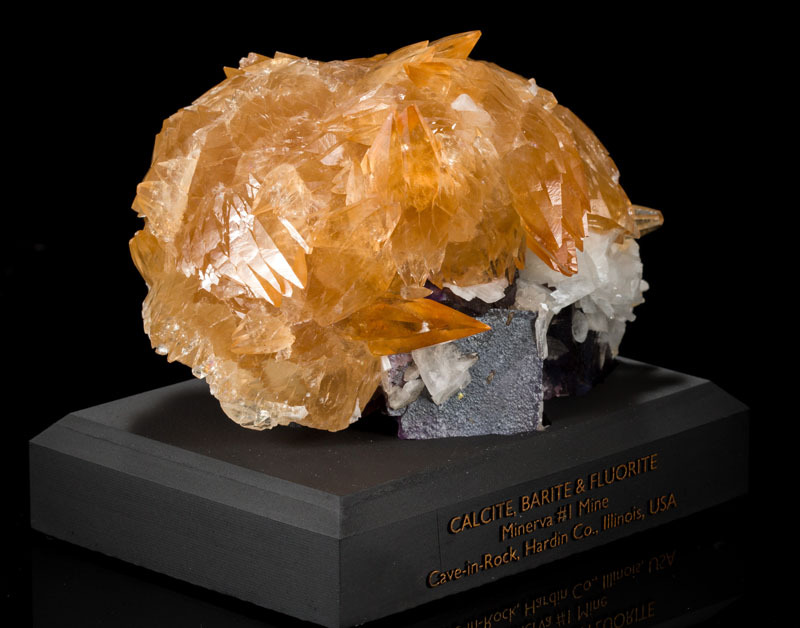 Just the contact area on the bottom. 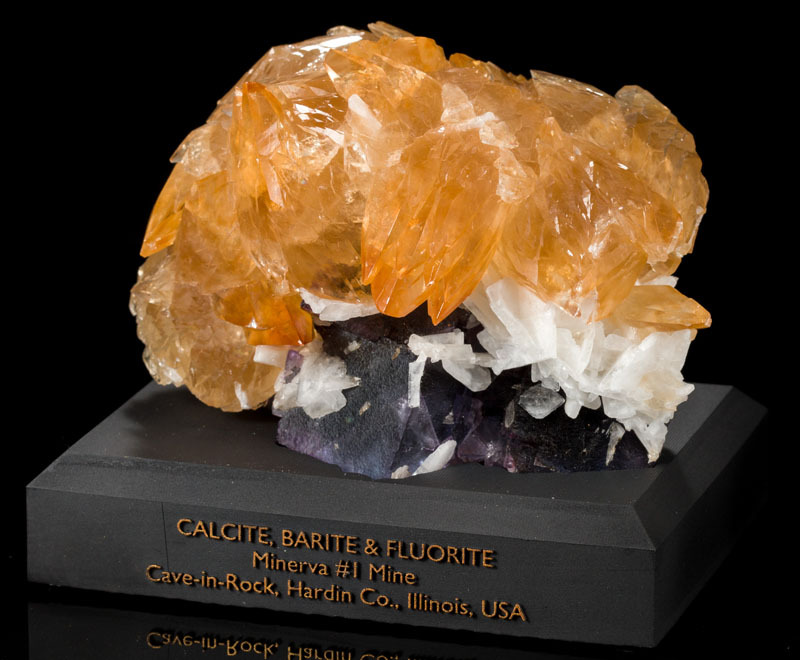 It is extremely rare to find such a good combo with this much gemmy calcite.